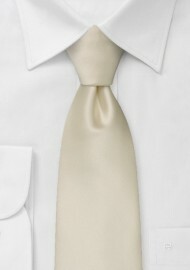 This formal solid color necktie has a classy champagne color and gives off and excellent satin-shimmer. It is one of our most popular ties for weddings. 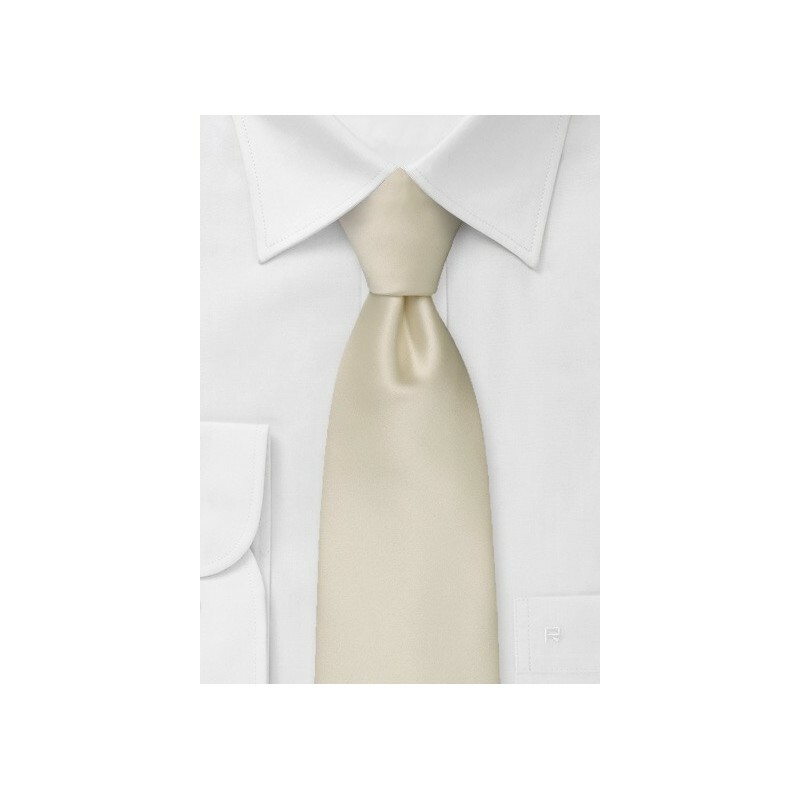 This tie is made from a stain-resistant microfiber fabric. It is almost indistinguishable from our fine silk ties. Formal wedding necktie. Length: 58", Width: 3.5"